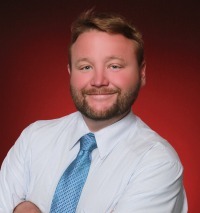 Mike Woodward is the owner of Woodward & Associates Real Estate and Appraisal Services. Mike is as seasoned as they come and has been in the real estate/appraisal industry for all most 20 years. Mike is a Certified Residential Real Estate Appraiser which has been an advantage on many occasions while working with other brokers in town. On top of helping buyers and sellers, he is the #1 foreclosure specialist in our area. He prides himself, his company, and agents under him on loyalty, honesty, excellent customer service and integrity.